Former New York Yankees pitcher Hiroki Kuroda returned to Japan's Hiroshima Carp on Monday after seven years in Major League Baseball and having taken a whopping 80 percent pay cut. "It was tough in the majors," the 40-year-old told reporters when he was unveiled to local media. "Going over there and not speaking the language, playing 162 games a season -- on top of that and the physical challenge, I put a lot of pressure on myself to win games. "But I feel like I'm home," added Kuroda, who accepted a huge reduction in wages to re-sign for the Japanese Central League club after a successful three-year spell in New York. "I felt like this was the right time to come home, and if I was coming back to Japan I wanted it to be with the Carp. "In order to keep my edge I hope to be able to keep the form I showed in the majors and hopefully I can get my fans excited." 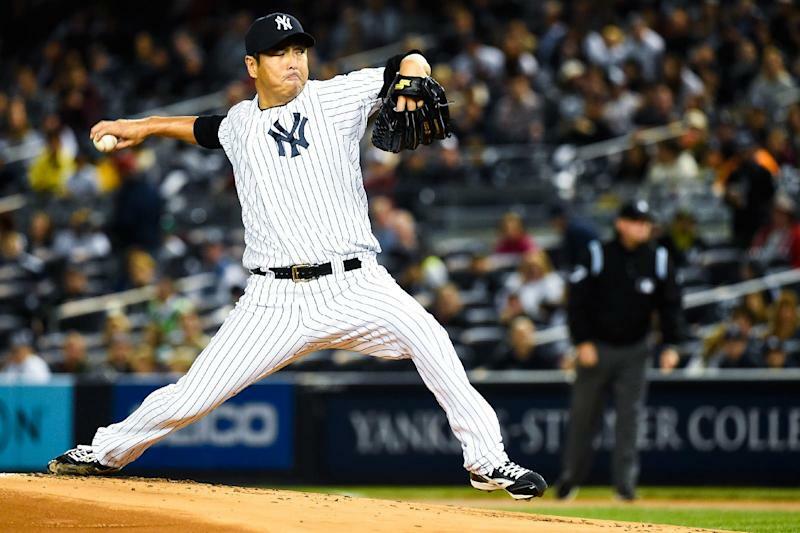 Kuroda, who pitched for Hiroshima from 1997 to 2007 before joining the Los Angeles Dodgers, has signed a one-year deal worth an estimated $3.3 million. He was paid $16 million by the Yankees last season, when he went 11-9 with a 3.71 earned run average in 32 starts. Kuroda, who won a bronze medal with Japan at the 2004 Athens Olympics, compiled a 79-79 record in seven MLB seasons with a 3.45 ERA. "I experienced a lot of things I wouldn't have done in Japan," said Kuroda, who was met by a throng of around 100 Carp fans as he arrived at Hiroshima airport from Tokyo at the weekend. "But I just felt that turning 40 I wouldn't be able to do the team justice what with the hard schedule in the majors. "I'm nervous about being back but I feel I can cope with the pressure."